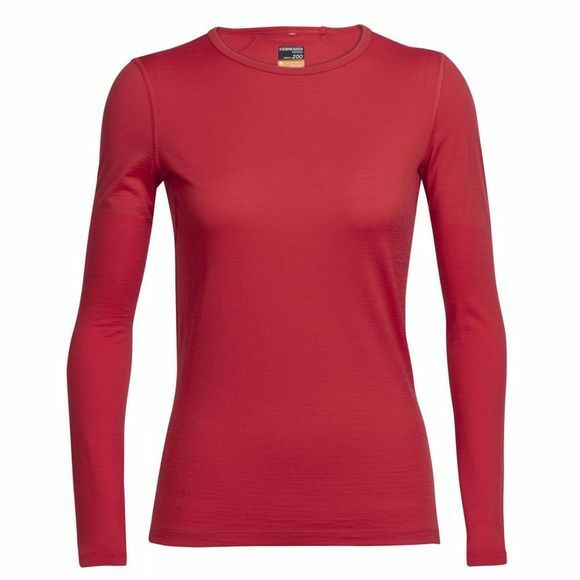 The Women's Oasis Long Sleeve crewe is an iconic baselayer for good reason. Made from Icebreaker's super-soft, breathable 200-gram Merino jersey fabric, it keeps you warm in cool weather, breathes well in warm conditions, and only becomes softer with age. And the details of this shirt make it incredibly comfortable when you move, so it is an ideal baselayer under a top or shell, and great for wearing alone on a cool morning run or a hike in the mountains. Flatlock seams won't chafe, a drop hem provides more coverage, and set-in sleeves stay comfortable under a pack. And because it's Merino, you can wear it several times between washes, odour free.